It is one of the most iconic moments from the popular Disney Cinderella movie ~ when the maid becomes a princess! 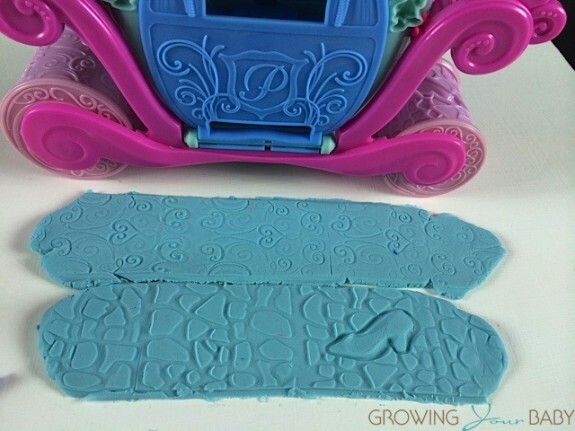 With Play-Doh’s Magical Carriage set, kids can re-create it over and over again. 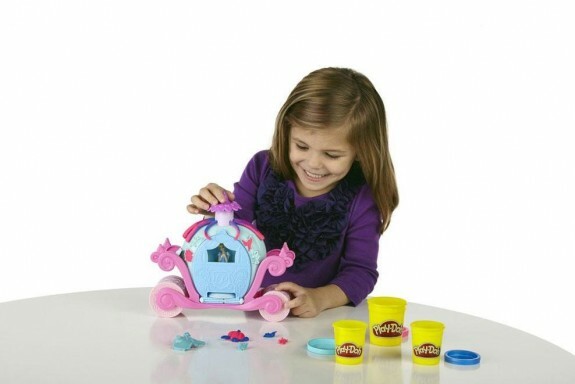 Designed to be an all-in-one experience this Disney Princess set comes with three tubs of doh(two are sparkly! 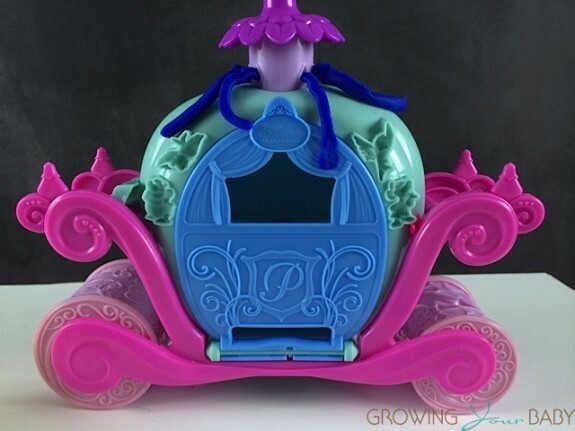 ), a Cinderella character and an elegant carriage. Kids can make Cinderella a sparkly ball gown(or two! ), conjure up the Fairy God mother or pave the way for the carriage to go to the castle! I really like this set because there isn’t any assembly, and everything can be re-packaged in the box when you are done to keep everything together. We put together a demo video to show all the fun kids can have while creating magical moments with this set! At just $14.99 this set perfectly priced for a birthday party gift or a basket stuffer at Easter.